There are plenty of people who have developed an expertise in digital marketing. But few of them have developed that expertise on top of nearly 30 years of traditional marketing communications experience. And that traditional experience not only helps employ these new tactics in a more strategic, integrated way, but it also – through the implementation of time-tested marketing principles – ensures that they are used most effectively. I believe that these new tools can be tremendous force-multipliers for marketers who know how to leverage them as part of a multi-channel communications program. I also believe that, while “likes” are likable for basic brand awareness, these new tactics need to be linked – and, ideally, tracked – to a course of action in order to achieve an adequate return on investment. And that’s where an experienced marketing mind like mine can really shine. I am well-versed in content marketing – including both owned and shared media – and have hands-on experience across much of the digital marketing landscape. Over the years I have created and managed numerous websites as well as produced daily online content. I have regularly written blogs and email newsletters. I have produced and created videos for use at events and online. I have also managed day-to-day social networking activities, using a variety of social media and other online tools to engage customers and generate results. And I have even driven sales – including record-breaking sales – through e-commerce. During my agency days, I was always an early adopter of emerging technologies, eager to find new and more efficient ways to support my clients. At Asphalt Green, I led the organization’s digital marketing transformation, employing Facebook, Twitter, YouTube, Yelp, Google Analytics, SEO, and other tools and channels for the first time. As a freelancer, I provided digital communications support for a number of clients, including website development and population, monthly email newsletters, and ongoing social media content. And you can see my current work by visiting WE ACT for Environmental Justice’s website, Facebook, Twitter, Instagram, and newsletters. In addition, to better understand how the digital world is affecting journalism, I created an online soccer magazine, Total Footblog. This helped strengthen my content marketing and social media skills, which I relied on heavily to build an audience. The venture also gave me a chance to learn how to use WordPress, one of the most popular content management systems, and helped me hone my SEO and Google Analytics skills. 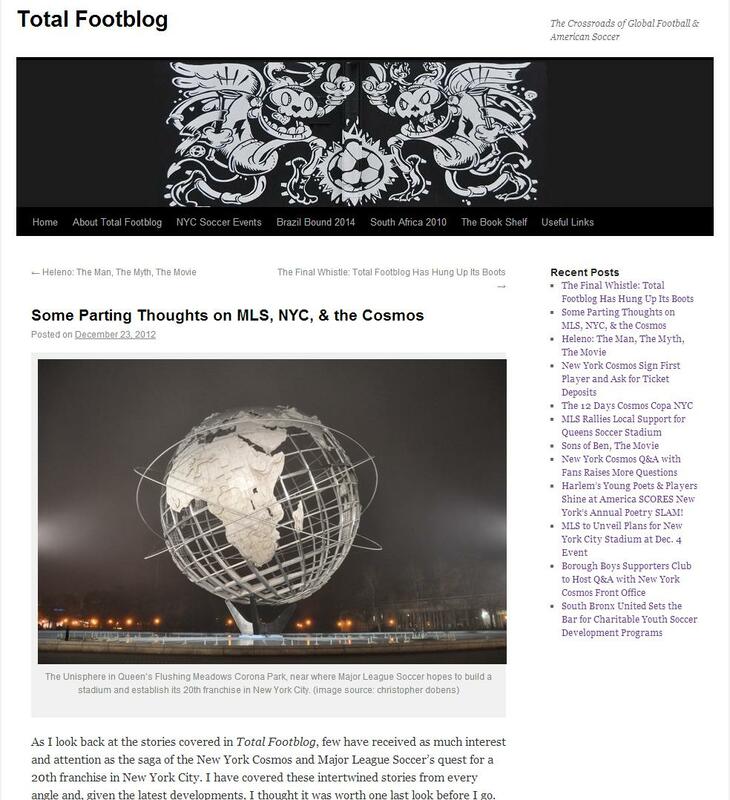 On the home page, I discuss the influence of the PESO model on my integrated approach to marketing communications. The days of silos and standalone communications tactics are as outdated as the fax machine. For whatever content I create or action I take on behalf of a client, I want to be leveraging as many of the other communications channels as appropriate to optimize results. In practice, I tend to take a more holistic approach. When a client presents a need or a challenge, I then consider all the different tools at my disposal and develop a solution that most effectively and efficiently addresses their need. And given that my experience transcends all the marketing disciplines, I feel well-qualified to determine which of those tools and tactics to employ – and how to most effectively employ them. As you can see, I have a long track record of leveraging the latest marketing technologies to engage customers and generate sales. And I remain eager to discover and explore new tools that can help me better serve my clients as part of an integrated communications program.